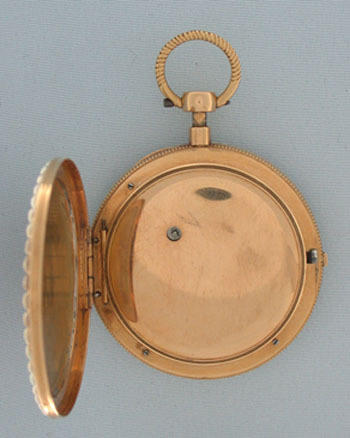 Fine and beautiful continental 18K gold, pearl and painted enamel quarter hour repeater antique pocket watch circa 1810. 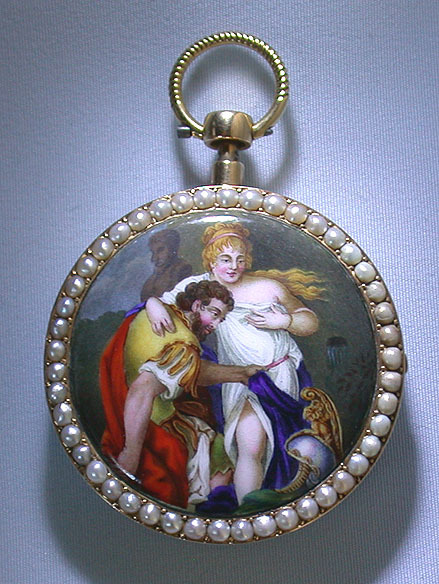 The bezels set with pearls, the back with a beautifully painted enamel scene or a returning warrior. Matte gold dial (light scuffs) with applied gold numerals and serpentine gold hands. 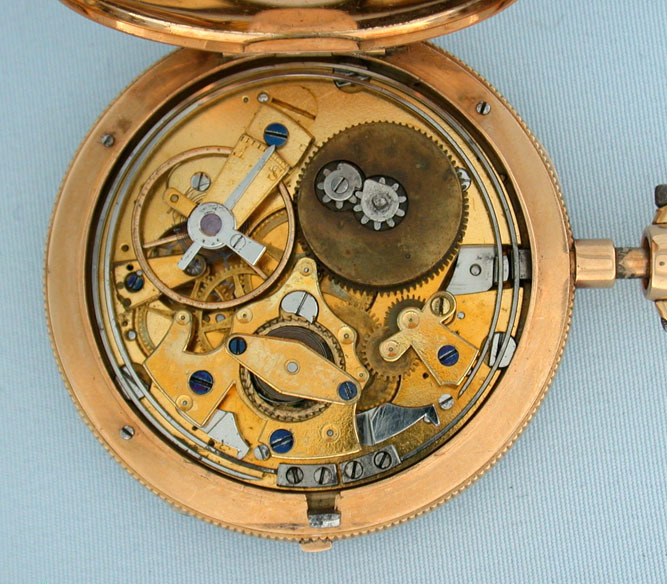 Lepine caliber keywind cylinder quarter hour repeater movement. 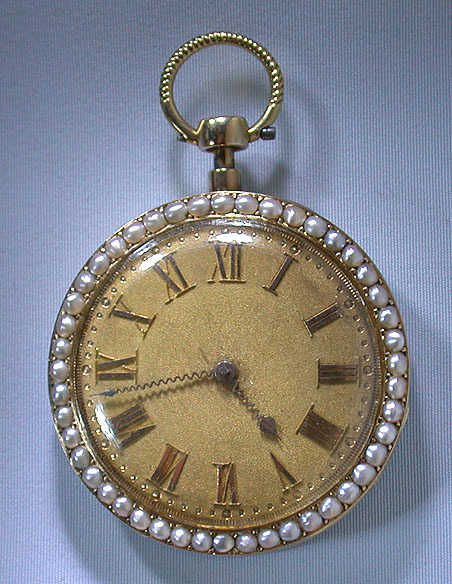 When the pendant is depressed this watch chimes the hours and quarters with good tone. The dial and movement of this watch show signs or careful use, but the enamel scene is so perfect I suspect that it has been restored, but if so, the repair is in hard fired enamel and undetectable.